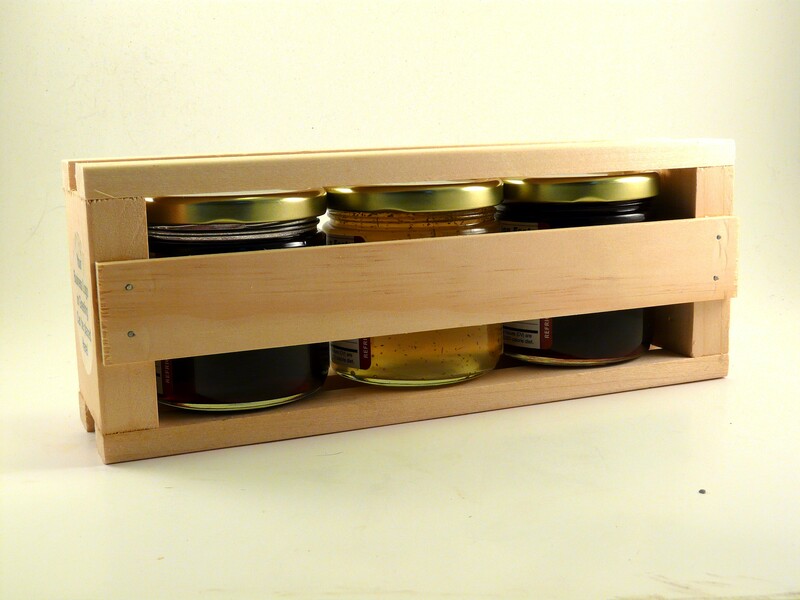 Your Personal Choice of 3 delicious Wine Jellies handsomely packaged in our Massachusetts Wood Crate. 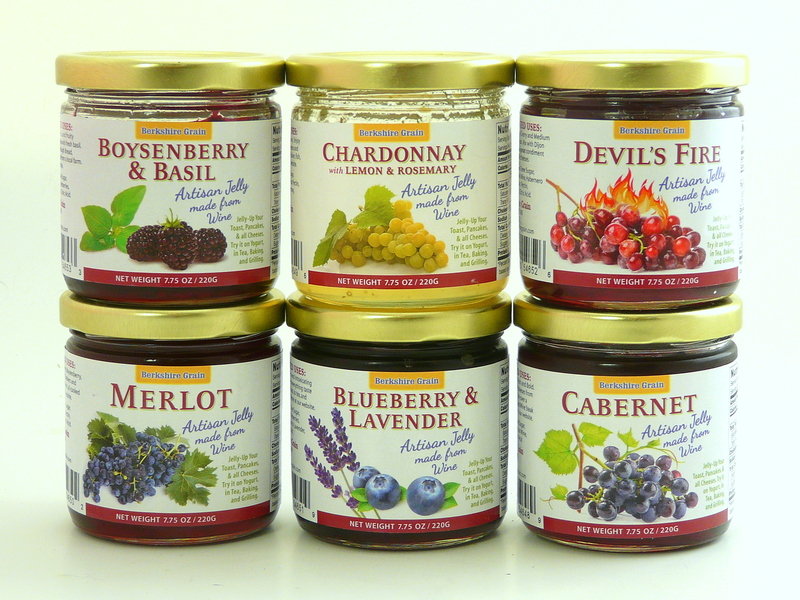 Along with your custom selection of Wine Jellies we send along "Suggested Uses and Recipe Ideas" for each Wine Jelly. Berkshire Grain Wine Jellies are a great addition to be enjoyed in so many ways. Each wine grape varietal carries very distinctive flavor characteristics that translate well in our Wine Jellies -- as part of the jelly making process the alcohol is cooked out allowing more of the fruit flavor to come thru. "How would I use Wine Jellies?" Berkshire Grain Wine Jellies fit well into any occassion from backyard barbecue to a New Years or Christmas Dinner Party. ......................the possible uses are endless -- we'd love to hear about yours. 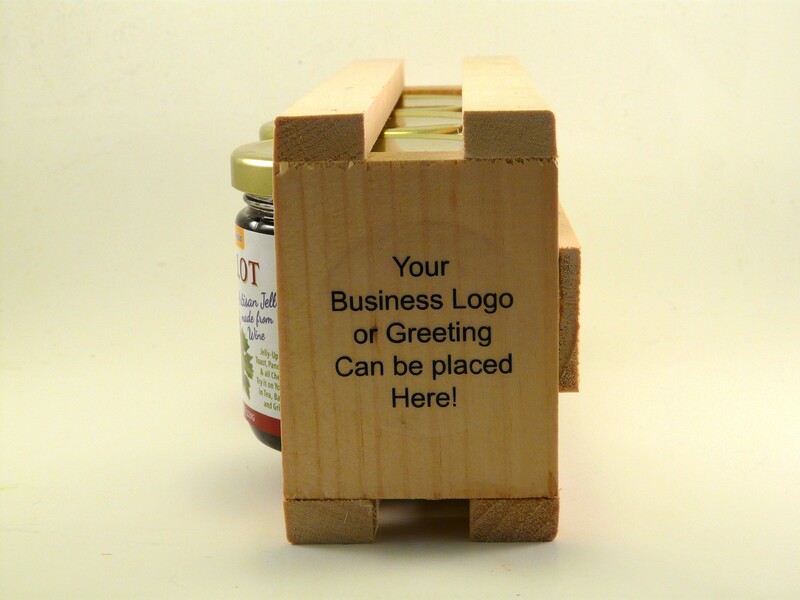 This unique gift is being offered with -- FREE SHIPPING. 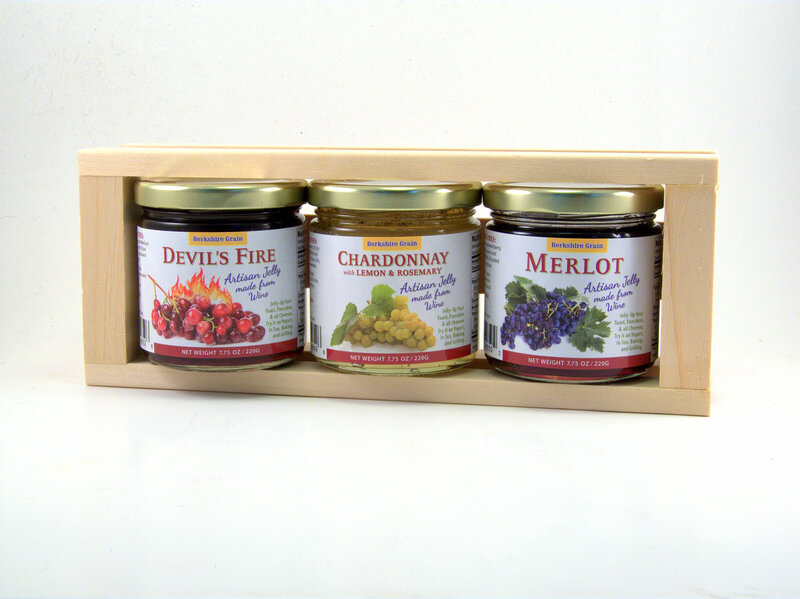 To Order: Just select your 3 Wine Jelly Choices from the drop-down window. 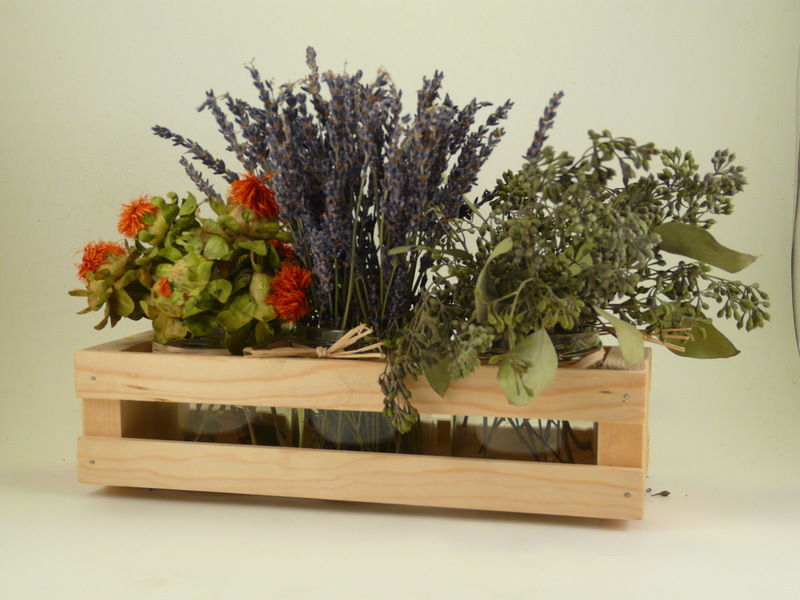 For multiple gifts - order each Wine Crate Gift Set one at a time to your shopping cart, and then repeat the process.